Following the official release date, pricing and specs announcement of the Intel i9 9900K CPU, Intel shared several game benchmarks where the processor crushed all competition, including the AMD Ryzen 7 2700X. Some of these benchmarks were published by PCGamesN, but renown YouTube channel Hardware Unboxed quickly pointed out in a video titled Intel’s New Low: Commissioning Misleading Core i9-9900K Benchmarks that the AMD Ryzen 7 2700X CPU had been handicapped by suboptimal memory timings used in the test. Following these reports, we reached out to Principled Technologies (which conducted the benchmark commissioned by Intel) asking for a comment. We just got a reply from Bill Catchings, co-founder of Principled Technologies, and we’ve posted it below as is. 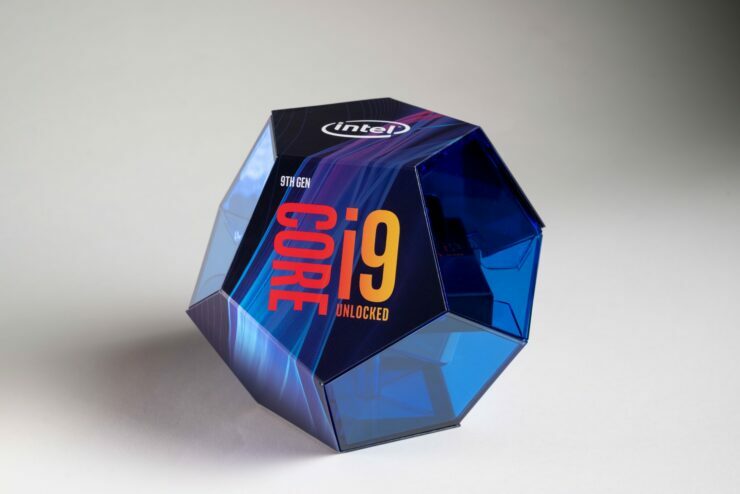 Today, we have seen several reports that suggested Principled Technologies (PT) published misleading information in our recent study comparing Intel’s gaming processors to AMD’s. We apologize for our delay in responding, but it’s been a busy day, and we wanted to be as thorough as possible in addressing inquiries concerning our testing. We’ll address specific questions and share more detail on our methodology in a moment, but we first must respond directly to attempts to call our integrity into question. Now that we’ve gotten that off our chests, let’s address the specific questions from recent videos as well as subsequent posts and tweets. Use of “Game Mode” on the AMD Ryzen™ 7 2700X: Some inquiries we have received concern the use of the Ryzen utility and the number of active cores in the AMD-based systems. Based on AMD’s recommendations and our initial testing on the Threadripper processors, we found installing the AMD Ryzen Master utility and enabling the Game Mode increased most results. For consistency purposes, we did that for all AMD systems across Threadripper™ and Ryzen™. We are now doing additional testing with the AMD systems in Creator Mode. We will update the report with the new results. Cooler choice: We chose Noctua for the CPU coolers, due to having almost identical systems in the NH-U14S (Intel) and NH-U14S TR4-SP3 (AMD), which allowed us to maintain a comparable thermal profile. Because we were not performing any overclocking on any configuration, and because AMD has said it was a good cooler, we stuck with the stock AMD Ryzen™ 7 2700X Wraith Prism cooler. Quality settings: We configured all games to use the “High” or equivalent preset, versus “Ultra” or other presets, also to emphasize CPU over GPU performance. In the case where there were only three presets, we chose the top preset. Motherboards: Re a Twitter comment from Cyber Cat @0xCats, “Hey @AMD Apparently according to @PrincipledTech @Intel is able to run Ryzen™ & Threadripper™ Chips on Z370 and Z390”: Thanks for catching that copy/paste error in our configuration info. We made an error there. The correct processor/motherboard/BIOS version specs for the AMD procs we tested are the following: Ryzen™ 7 2700X/ASUS PRIME X470-PRO/4024 and Threadripper™ 2950X & 2990WX/ASUS PRIME X399-A/0807. We apologize for the error and will post a revised version (with changes noted) soon. Because our goal is always to do the right thing and get the answers right, we are currently doing additional testing. We will share that data and will certainly call out if something is significantly different from what we’ve already published. Here’s our Keith discussing the original report made by Hardware Unboxed.